Announcing the organizations that we will be supporting through the Empathy Project this year. 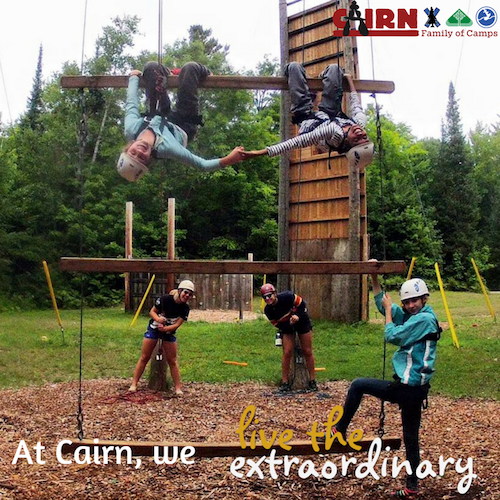 Each year, the Cairn Family of Camps supports various organizations through the Empathy Project. In the past, we have supported organizations like: Covenant House, National Service Dogs, The Table Foodbank, Presbyterian Missions, Out of the Cold and many more! This year’s Empathy Project will be supporting two organizations: The Table Foodbank in Huntsville and Blessings in a Backpack. We have been partnered with The Table Foodbank for 7 years now. Each year our Pay It Forward campers go in and help to stock shelves, clean and unload donations. We have gathered food items for the foodbank each summer and the foodbank looks forward to our food drive each year. This summer, we will again be holding a food drive. All non-perishable food items, toiletries, clothing and baby items are welcome. Blessings in a Backpack is a new organization that we will also be supporting this year. Blessings in a Backpack fills backpacks with food for children and their families across Canada who don’t have enough to eat. Children pick up the backpacks at school on Friday and return them empty on Monday They are then re-filled and sent home again the next week. We will be holding a backpack drive this summer! Please donate any new or used backpacks, so that more children across Canada can have enough to eat! It costs only $100 to feed a child for a year through this program. If you would like to make a monetary donation, we will be collecting those as well. DONATIONS CAN BE BROUGHT TO CAMP ON ANY OPENING OR CLOSING DAY. THERE WILL BE BINS AT THE REGISTRATION TABLE MARKED FOOD DRIVE and BACKPACK DRIVE. Thank you for your support and generosity! !